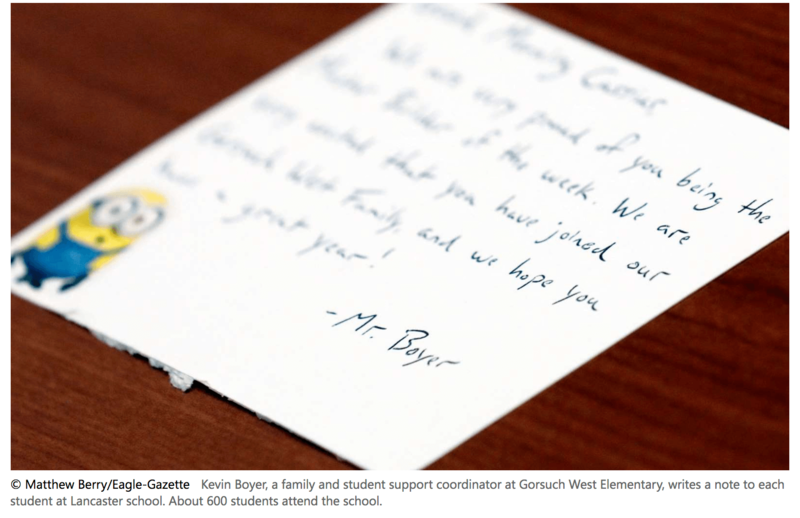 Social worker Kevin Boyer has inspired his students each and every day for the past year by writing them over 600 personalized notes. 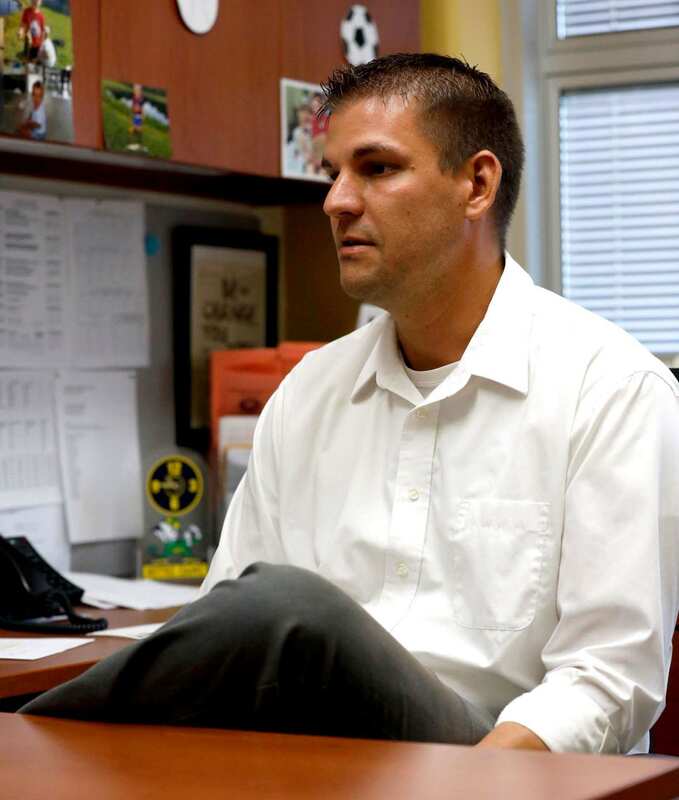 As a family and student support coordinator, he has seen students and families struggle with various issues. He writes personal notes to the students to let them know he is proud of them and always supporting them. "I feel like I'm just a big kid, so I really relate to kids," he said. Boyer writes nearly six cards a day, with the goal that he will have all 600 hundred written by the end of the year, just as he did last year. He also hand delivers each note to the students' desks. "They loved it," Boyer said. "Not only was it a pick-me-up for the students, it was also a pick-me-up for me and kind of kept me going throughout the school year as well too. Because when I'd see them in the hall, they'd rush up and say they'd got their note and give me a hug and a high-five, so it would really brighten my day as well." Boyer has made continuous efforts to learn students' names and really get involved. His notes are personal. He takes the time to sit down to write each note to each student personally. Boyer's efforts have spread; there are various workers who have said they want to join Boyer's project at their schools. His kind words and efforts could reach many schools around the country.